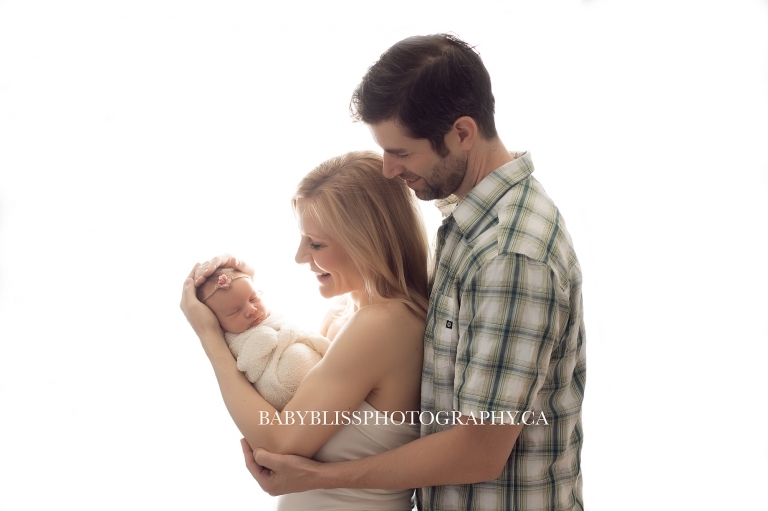 It’s my pleasure as an Okanagan Newborn Photographer to introduce beautiful, baby Emma! She is the beautiful daughter of Allyson and John and if you missed their beautiful snowy, maternity session you can see it in the link provided. They had to drive over an hour and a half to get to their session and I was so worried about them on the highways! It was dumping snow the day we created their beautiful maternity portraits and they were real troopers putting up with all the snow. And for a little extra excitement, they went into labour the DAY after our session! I jokingly told them at their session that I have a few clients go into labour the day after we had worked together, and obviously baby Emma was listening! 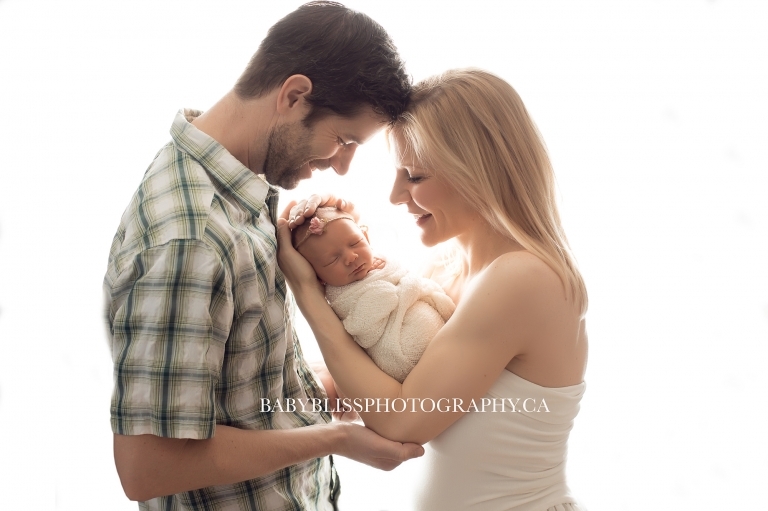 Born a few weeks early, little Emma was a lovely Christmas surprise for her parents. It was also really nice that with all the family and friends gathered for Christmas, they all got a baby snuggle too. What a perfect way to introduce her to everyone! I am sure she was spoiled with baby clothes! As a good omen, before our session, a herd of deer came through the grounds of the Caetani Cultural Centre where I have my Baby Bliss Photography studio. I knew it was going to be a great session and Emma didn’t disappoint. We created some spectacular family portraits and then little Emma transitioned perfectly between each of her outfit changes and poses. These are portraits that her family will cherish forever. Look how little she is in her parents hands! I love that! John and Allyson you have a beautiful family and I look forward to capturing your beautiful family again!